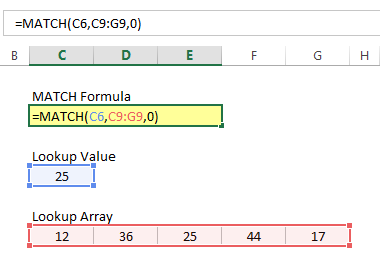 Excel’s MATCH formula is an extremely useful yet underutilized function within Excel’s toolkit of formulas. The reason people underestimate its value is because the MATCH formula’s primary objective is fuzzy and ambiguous. Without the proper context, its usefulness and potential applications are not obvious. Assume I have an array of five numbers below and I need to find the position of the number 25. By using the MATCH formula with the following inputs, I can fulfill that specific requirement. Based on this example, the mechanics of the MATCH formula are fairly simple. But again, the usefulness and practical application of the formula is still not obviously clear. 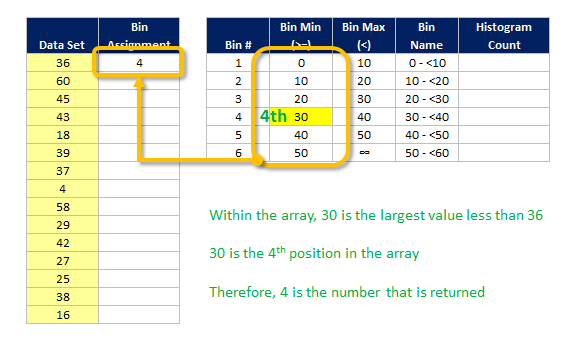 How often do you really need to find the position of a value within an array? Having this particular need by itself is pretty rare. Below, we’ll go through three examples of how best to put the MATCH formula to use. With the proper context, you’ll realize that the MATCH formula can be really handy in a number of situations. Combination formulas are by far the most common way that people leverage the MATCH formula. All this means is that the MATCH formula is being used in conjunction with another more popular formula in Excel. For lookup formula combinations, you’ll almost always be using the exact match option for the match_type input. 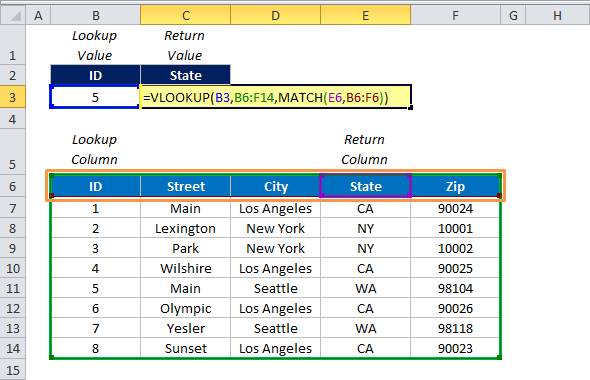 When you combine a lookup formula with the MATCH formula, it provides Excel with a more dynamic way to perform the lookup. For example, if you use the VLOOKUP MATCH combination, the MATCH formula replaces the column_reference within VLOOKUP. 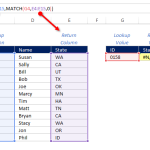 Instead of having the column_reference be a static number, like “3“, you can use the MATCH formula to define what specific column you want VLOOKUP to pull from based on the column’s name. 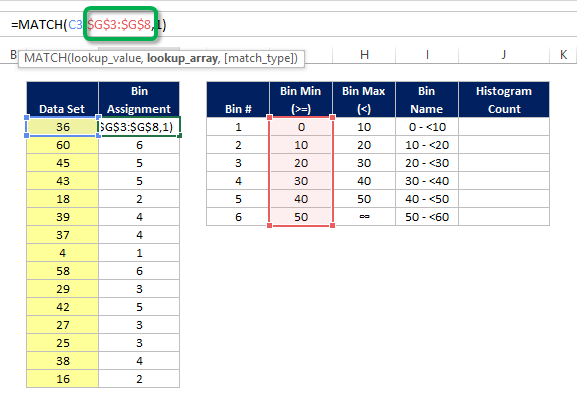 Having the MATCH formula baked in also gives your lookup insert column immunity, which prevents your formula from erroring out if you need to insert a column within your table. The most popular combination formula using MATCH is INDEX MATCH. Most people actually learn INDEX MATCH without really knowing what the MATCH formula actually does; they just memorize the required syntax. Regardless, the MATCH formula’s usefulness is proven by how frequently it appears in lookup combination formulas. Below is a list of the most popular lookup formulas leveraging the MATCH formula. It includes vertical lookups, horizontal lookups (INDEX MATCH can be used horizontally), and matrix-style or two-way lookups. One of the best ways to leverage the MATCH formula is just for checking if a value exists. The key to making this work is that you need to use the MATCH formula’s exact match option for the match_type syntax input. In the example below, we have five lookup values where we want to check if they exist in our larger data set. All I have to do to perform this check is to right the MATCH formula for each of my numbers. If the value returns a position number, it means that it exists within your larger data set. If the value returns an error, then it’s not there. The reason this is a great use of the MATCH formula is because it’s really intuitive. If a value does indeed exist within a data set, then the MATCH has to work for that value. Writing the MATCH formula provides you a quick and intuitive way to perform that check. Now, there are faster ways to find if your value exists. For example, you could just use CTRL + F to use Excel’s Find feature. Additionally, you could just sort or filter your data and look for your value visually. However, the MATCH formula is probably the quickest way to perform this check for a list of multiple values, as shown in the example above. Just write your formula once, reference lock appropriately, and copy it down. We’ve already gone over two examples where we used the exact match option for match_type syntax of the MATCH formula. And when using MATCH, 95% of the time you’ll probably be using exact match. However, there is one alternative use case where the approximate match option makes sense. Particularly, this is to replace the need to write a Nested IF Statement. Let’s look at all the possible match_type inputs available to dig into this further. Finding the largest value in your lookup array that is less than or equal to your lookup value. If I need to assign a lookup value to an array of histogram bins (assuming my lookup array is the minimum value of those bins), approximate match does exactly that. See the example below where we are trying to assign 36 to a set of histogram bins. 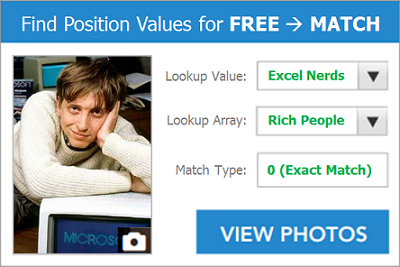 MATCH is a popular formula that many people use but rarely dig into the mechanics of. Despite its obtuse purpose (to return the position of a value within an array), the formula clearly has a number of viable uses within Excel. 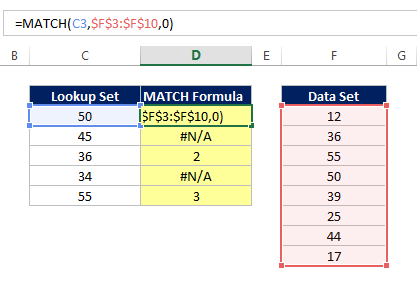 If you’ve only used the MATCH formula for lookup combinations (like INDEX MATCH), consider the other use cases I’ve mentioned to gain further leverage of this function. 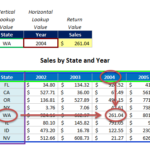 You could utilize the Lookup Key generation from this post( http://www.mbaexcel.com/excel/how-to-use-the-anchored-countif-formula-in-excel/) to generate a single cell/reference for your 2-column lookup issue, then utilize index/match to reference the value returned from the first lookup, in a second lookup for the price. Would be easier to explain with some sample data, or via excel, rather than trying to explain without visual aids. The main key is to combine your two lookup criteria into a single one to get your reference, then use that reference for your second lookup – all of which can be combined into a nested lookup formula.